Welcome to Bonchasse Land & Cattle Co., LLC (“Bonchasse”) located near the beautiful Village of Grand Cane, Louisiana. 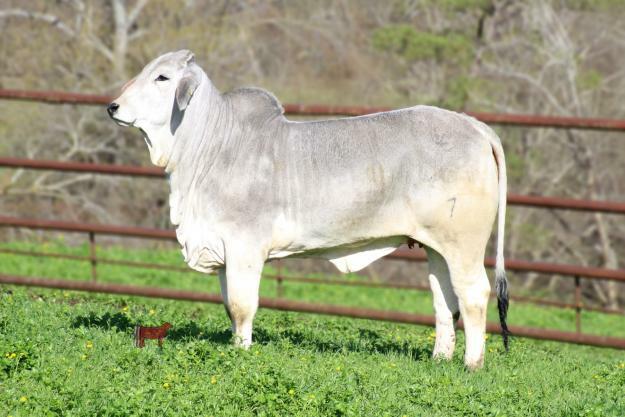 Bonchasse strives to produce the finest Registered Brahmans and is a premier breeder of Registered Brahman and Golden Certified F-1 Braford replacement females. Furthermore, Bonchasse breeds and trains quality registered Quarter Horses to excel in the arena and on the ranch. Online sale beginning this Wednesday 4/3 and ending on Thursday 4/4. Pedigree, Phenotype & Performance! If these sound like three essentials that you would like to incorporate into your program then you need to mark Ms. Bonchasse 401/7 as a must buy. This beautiful female obviously offers the ideal build and eye appeal expected by any progressive cattleman. In addition to her superior look she offers a pedigree that will be appreciated by anyone no matter their focus combining a Register of Renown Sire with a Maternal Merit Dam. Her sire is the former champion and proven sire as confirmed by him reaching the Register of Renown, +Mr. V8 191/7. 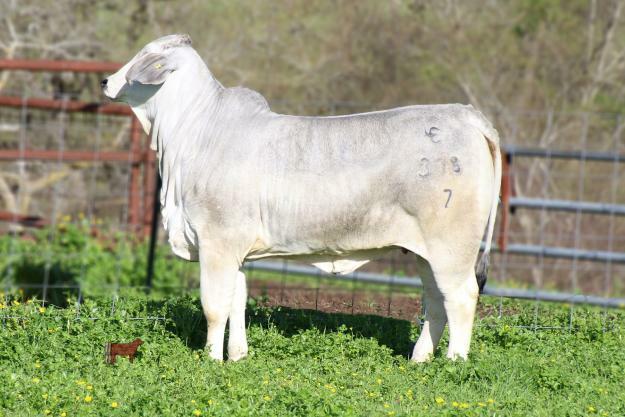 Certainly 191/7 needs no introduction but it should be noted that he was a many time champion ending his career as a Reserve International Champion, he sired the International Champion Mr. V8 604/7, sired the 2019 V8 Ranch “Bull of the Year” Mr. V8 933/7 “Yeti”, is a multi-trait leader and offers one of the most proven pedigrees in the breed. The dam to Ms. Bonchasse 401/7 reached the status of Maternal Merit due to her calving regularly and weaning heavy calves. In addition,= JDH Lady Susie Manso 579/3 has been an outstanding donor for J.D. Hudgins-Locke Division, Moreno Ranches and Dubina Rose/Greg Mathis and as a result has 35 offspring registered in ABBA. In addition to =JDH Lady Susie being recognized for her maternal performance she produced a daughter owned by Bud McCraken that was named the International Show Embryo Produce of Dam Champion. As you might expect with so much bred-in performance, 401/7 charts positive for 9 traits with 4 of those being in the top 20% of the breed. In addition she has been carcass ultrasounded and yielded the following adjusted results: REA: 9.37 sq. in. for a 1.2 sq in/CWT, IMF: 4.65%, BF: .42 in. If you’re interested in producing cattle that have the pedigree, performance, and predictability to remain profitable be the last one bidding on Ms. Bonchassse 401/7!